When I arrive at Hoglands, the Hertfordshire studio and sculpture garden that once belonged to Henry Moore, a crane is in the process of ripping a massive bronze from the lawn. Despite initial iconoclastic appearances, it is not being torn down but temporarily removed to the sanctuary of Tate Modern, where it is now shown as part of a display of Moore’s public sculptures. Elsewhere in the idyllic grounds stand other monumental bronzes, their bases polished smooth by the fleeces of the sheep which graze around them. Moore’s studio, visible behind protective glass, is much as he left it – his cane is propped up by his wicker chair and every available surface is covered with pebbles, knives, shells, bones, skulls, photographs, drawings, dentist’s tools and strips of wax. The shelves are crammed full of the maquettes he constructed by building up bones and flints with modelling clay, a miniature museum of his entire oeuvre. The exhibition was a sensation. Alfred Barr, director of MoMA New York, wrote that ‘it was the group of young sculptors that provided the greatest surprise of the whole Biennale. Adams, Armitage, Butler, Chadwick, Paolozzi and others aroused not only international admiration but – what is more conclusive – a widespread desire to buy’. The Italian press reported that ‘the young English artists have secured the leading place in Europe’, and Peggy Guggenheim, Elsa Schiaparelli, the Museum of Modern Art in Rome and MoMA all bought pieces. By that time Moore was thinking of his legacy. 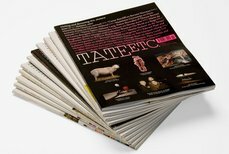 He proposed to donate 26 major works to the Tate in the late 1960s, including plaster casts, working maquettes and the rest of the contents of his ‘thinking studio’. There was talk of building a special Henry Moore wing to house this collection. In 1968, the year of the Tate’s retrospective of Moore’s work in celebration of his 70th birthday, 41 artists wrote a letter to the Times objecting to the proposed scheme. In something of a final insult they declared that ‘The radical nature of art in the 20th century is inconsistent with the notion of an heroic and monumental role for the artist and any attempt to predetermine greatness for an individual in a publicly financed form of permanent enshrinement is a move we as artists repudiate. ‘Signatories included two of Moore’s former assistants – Anthony Caro and Philip King – and two of the ‘geometry of fear’ exhibitors – Paolozzi and Turnbull.